Brazilian artist Regina Silveira was so ahead of her time. 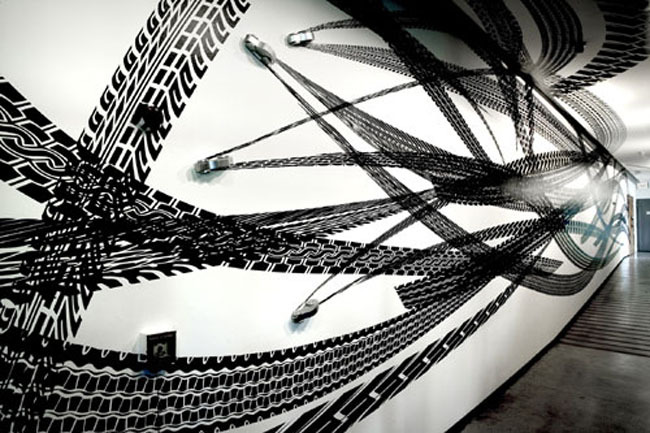 She’s been creating installations using plotter cut black vinyl adhesive years before blik came into existence! 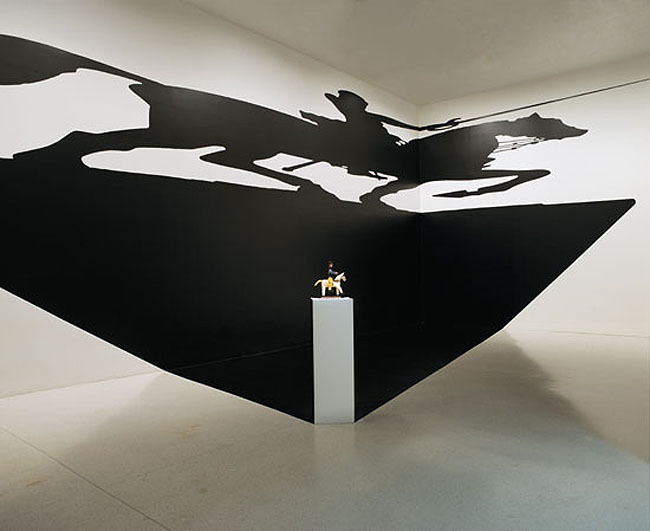 Her large-scale installations play with perspective, shadows, and space in general. Her Track Series (Derrapagem which translates as skid marks) go from floor, to walls to the most unlikeliest of façades. 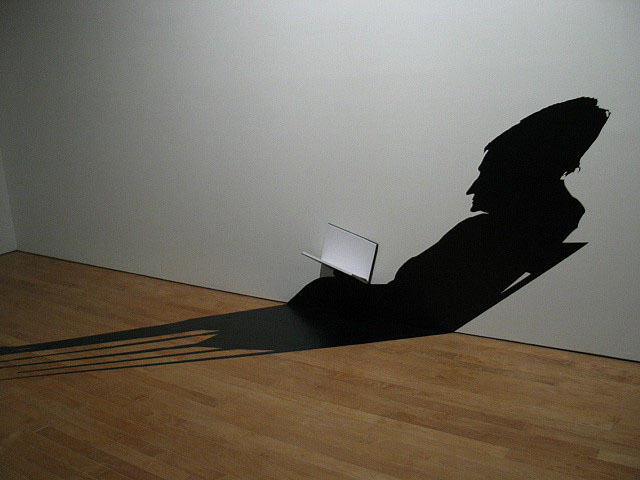 Her exaggerated shadow pieces are humorous and clever, often tricking the eye. Below is a video of a set design with Silveira’s signature skewed perspective that has your mind doing as many flips as the dancers.